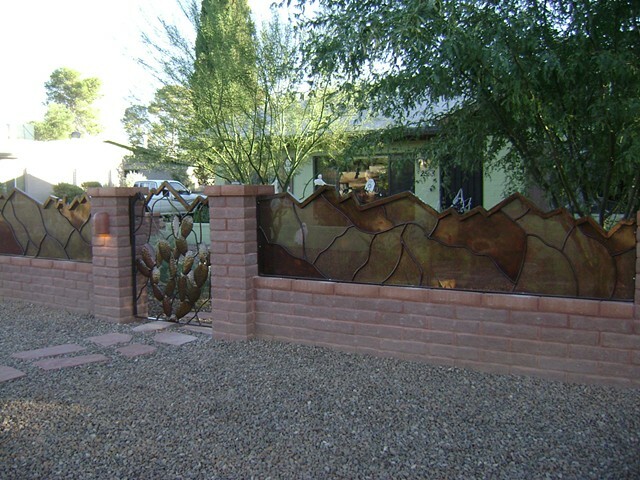 These two panels are on either side of this cactus gate. The panels are abstracted versions of the Catalina Mountains complete with Finger Rock, Ventana Canyon etc. The panels are solid and perforated for variety.